1. 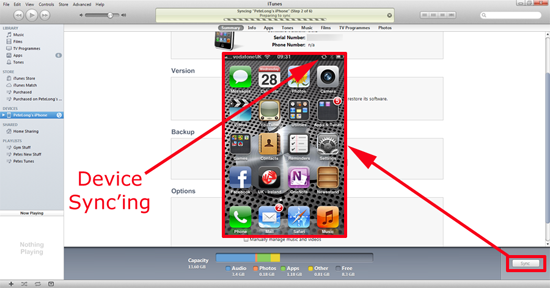 You device is running IOS 5 or newer. 2. Your iTunes version is 10.5 or newer. 3. The iPhone / iPad are on the same wireless network as the machine running iTunes. 1. 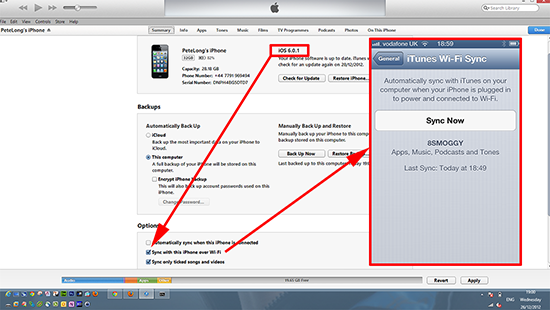 Start up iTunes and connect your device via its USB cable. 2. Select your device > on the summary page, scroll down to the options section > tick "Sync with this iPhone / iPad over Wi-Fi". 3. Now whenever the device is on the same wireless network, iTunes will list it, and you can sync your device. 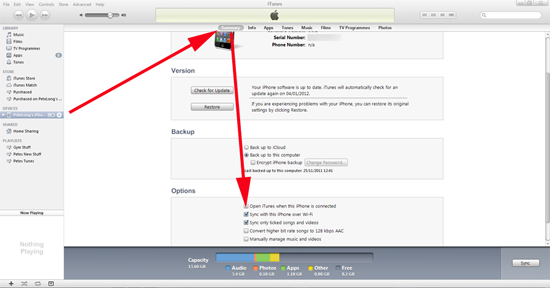 In iTunes 11 you still need to tick the "Sync with this iPhone / iPad over Wi-Fi" option. Then on the device > Settings > General > iTunes Wi-Fi Sync > Sync Now. Note: If Sync Now is greyed out, (cannot be selected), then disable/re-enable wireless on the PC/Laptop and ensure the iPhone/iPad is connected to the same wireless network.